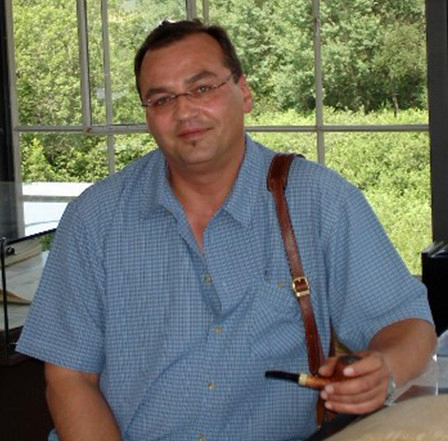 Interview with master-blender Hans Wiedemann from HU Tobacco – Part 1. How long have you been smoking pipe? I have been smoking pipe since I was 15. Of course not as intensive as in later years. As a teenager you have other things on your mind and you often miss the moment of rest for the enjoyment. But since that time the pipe always accompanied me and it never lost its fascination for me. The nice thing about pipe smoking is simply the connection of a beautiful smoking device with a wide range of tobaccos with all kinds of tastes. A pipe which smokes excellent and also looks great is almost like a friend for life. This is one of the reasons why I stick to the pipe and prefer it over the cigar. All other enjoyments of smoke are too fast paced and a good cigar simply goes up in smoke, and provides no lasting value for the connoisseur. What are your favourite pipe shapes and why? Concerning pipe shapes I am more conservative then with my choice of tobaccos. I feel a connection with classic pipe shapes in which you can recognize the personal style of the maker. Revolutionary shapes, or in other words crazy, spectacular shapes are not my taste. The classic shapes have proven themselves particularly through their smoking properties and are still exciting for me. I take off my hat to every pipe maker who goes to the limits of a shape without blurring the original form. There the art lies in the details. My favourite shapes since long are the Dublin, Pot, Bulldog, Prince and Cutty. These shapes are really created very differently. The pot and Bulldog are rather strong, burly pipe shapes while the Cutty, Dublin and Prince are sometimes interpreted as very delicate. I love the contrasts and depending on the mood of the day and the preference for a tobacco I choose a delicate or a more robust pipe. Classic does not have to be dusty, classic can still be very exciting. Do you have a favourite genre of tobacco that you like to smoke? Of course I have certain tobacco genres which accompany me since long and to where I return again and again despite all kinds of sidesteps. My great loves are the Virginia / Perique blends and to-the-point English blends. I think this you can clearly see this in my supply of tobacco. Again and again I turn to the Burley-mixtures, but they can never conquer my heart forever. But these are always mixtures that excite me and therefore are a great change to my “favourites”. I sometimes like to smoke aromatic tobaccos but my interpretation of the term aromatic is unlike most others. Aromatic tobaccos should assist only the tobacco taste with their casing, maybe put some little accents, but the tobacco base should never be “destroyed”. This is not a widely accepted view, but the interpretations of the aromatic tobaccos blended by me have a very loyal following. Perhaps this is because this niche is only partially covered by other manufacturers and it offers tobacco flavour nuances that heavy aromatized tobaccos just do not offer these days. But coming back to my personal passions, the Virginia / Perique and Latakia mixtures, is there anything more honest than the natural blends of these genres? Do you not find the ethereal taste of a good Latakia different every day? Do you not always taste nuances that you have never tasted before, or simply perceived differently? 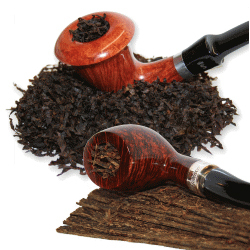 These aspects breathe the life in the enjoyment of pipe tobacco and that falls away when a tobacco is heavily aromatized. How did you acquire all of your tobacco knowledge? In the early days internet was not there yet. Books? Yes, with internet really a new era dawned and the ways that you can gather knowledge can be described as wonderful. But to the surprise of many, I am not a tobacco-guru. 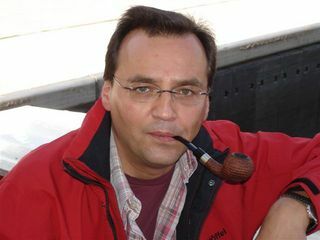 My modest knowledge of tobacco is not theoretical, but is a result of many conversations with experienced pipe smokers and the visits I undertook in the 90’s to Dan Tobacco. 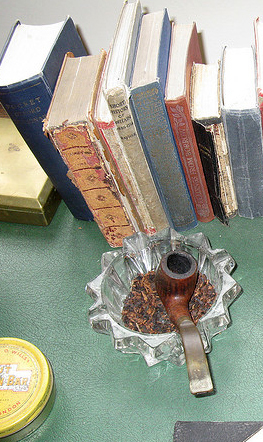 Of course, I devoured all the standard readings of pipe smoking. But like I said, in the smoking community by comparative tests and discussions you learn how oriental tobaccos taste or how the addition of burley affects a Latakia mixture. Those are practical things that one can only learn so far by pure theory. And honestly it is more fun to gather your own experiences than googling for hours. Like I said, my focus is less on theoretical knowledge and more on “practical experience”. Why did you started blending tobaccos? Were you for example unsatisfied with available mixtures? Hmm…. That’s a long story. 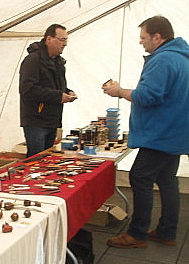 The basic idea was born at the Lohmar Pipeshow 2010. Along with Kelvin, name-giver of my tobacco “Kelvin’s Silent Secret“, the idea was born to try import interesting tobaccos from abroad. It always annoyed the both of us that mixtures from abroad cost a lot and were very hard to obtain. But after a little research I understood that it was not possible to realize this idea. To import tobaccos, apart from a desire to do a lot of paperwork, you need a lot of money and a high level tolerance of risk. All this was not what I was looking for, after all it was supposed to be just a hobby. Besides my day job I also have a wife and 3 small children. So the idea came to create tobaccos according to my own visions and sell them through an online store. Since Kelvin was in a completely different phase of life than me and focused himself on starting a family, he let me go first, and concentrated on the pipe making. That way the idea was born, not knowing what was coming. When you first started blending pipe tobacco blends, was it more of a hobby or did you already had plans to make it into a business? As long as I can remember I was always searching for the best tobacco. Sometimes this was not always pleasant, because a certain restlessness is in it, but you also learn about an awful lot of different tobacco blends. I always had the desire to unite all the advantages of different tobacco species in a mixture. Ok, that is impossible, but this thought prompted me to create my own blends over and over again. So I have some experience with home-mixing before HU Tobacco. Many ended up in the garbage because they were not useful or simply not good enough to really have fun with. But over time by adding the right ingredients you get a feel for the direction in which a mixture is going to develop. So before before I decided the venture into the world of tobacco-mixing and present blends to the public, I had the phase of beginner-mistakes behind me. 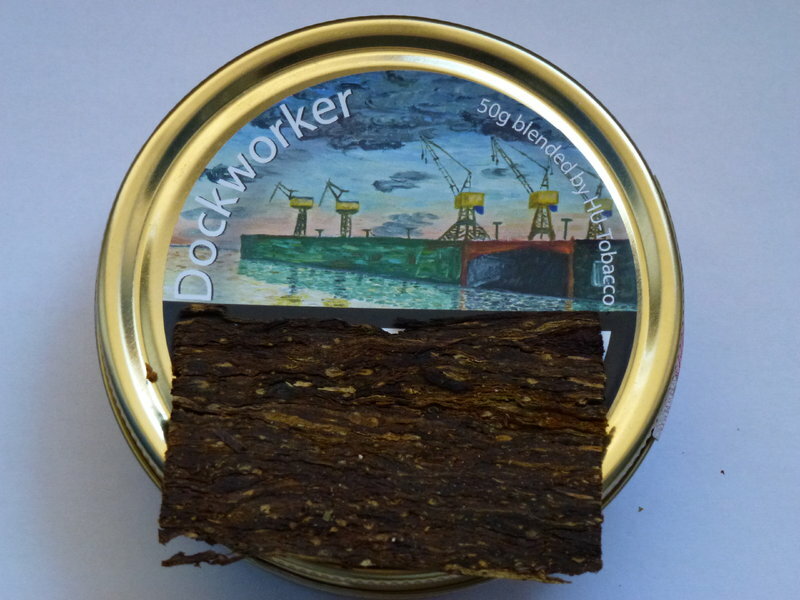 Do you have a favourite type of tobacco when blending? I can’t really say that. I have 2 to 3 great Virginias available to me that I really love working with and that I have often used lately. But this should not be the standard, otherwise the mixtures are simply becoming too similar. Yes I want to show the whole range of individual types of tobacco in my mixtures. Otherwise it would make no sense to offer several Virginia or Virginia / Perique blends. In my recent creations, I tried to put tobaccos in the foreground which lead a shadowy existence at the large manufacturers. Especially Kentucky, Burley and Oriental tobaccos. Because of this tobacco combinations came into existence that not or almost not existed in Europe to date. Burley / Orient, Orient / Kentucky, Burley / Perique to name just a few examples. I would like to re-phrase the initial question: Are there tobacco genres you prefer to blend? The answer to this question would for me be an unmistakable yes. Latakia mixtures are the most exciting for me as a blender because this genre offers the biggest “playground”. How did HU Tobacco came into existence? How I came to the idea, I’ve already answered. But of course there still was a long way to go before the founding of HU Tobacco. I first had to find partners who were willing to manufacture my mixtures. Because my sales are ridiculous compared to the major manufacturers, I did not encounter mutual love everywhere.. Sometimes the targets had been set very high which of course brought many sleepless nights. Not knowing how everything was going to develop, I took a few risks and registered my company at the authorities. This interview continues in part 2 and part3. 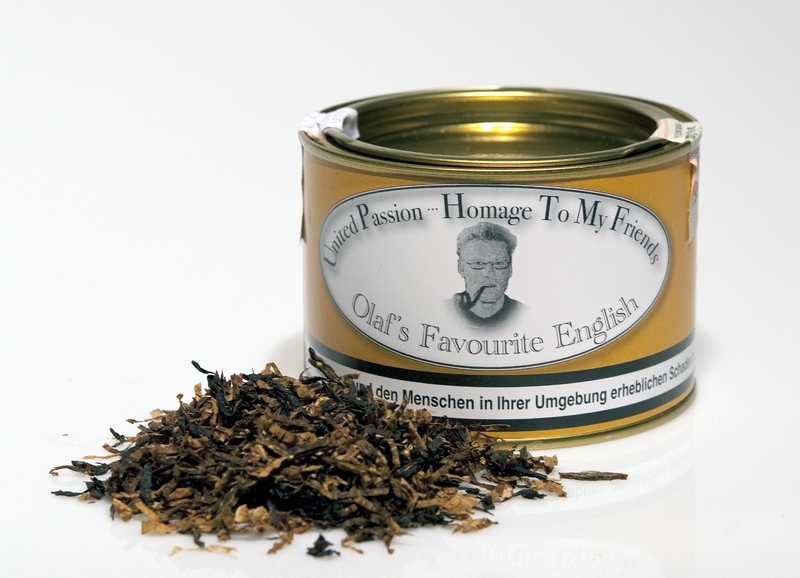 You can buy Hans’ excellent tobaccos here.